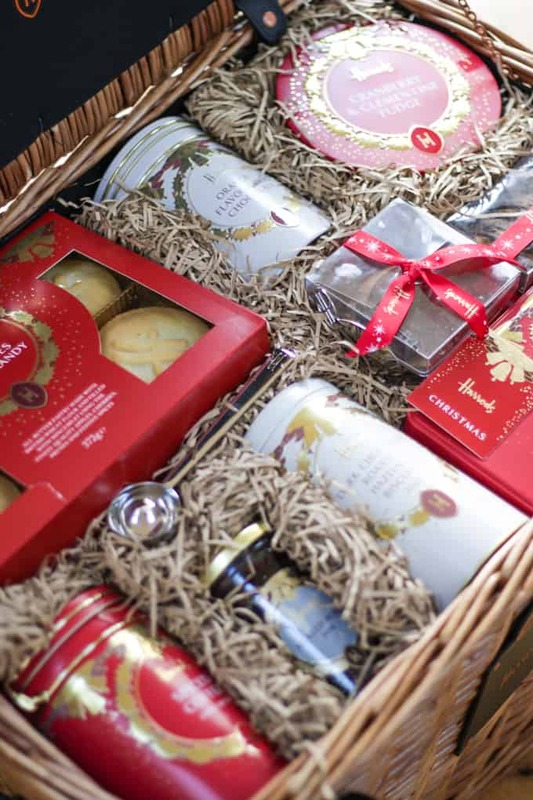 The beautiful St James Harrods Hamper – The perfect Christmas festive celebration foodie gift. December is just around the corner and Christmas shopping is everywhere you turn. I had a grand plan this year to be all shopped and ready before the end of November. I’m not quite there yet, but I’m well on my way. I do keep getting distracted by festive food though. So many opportunities always, so many delicious treats. 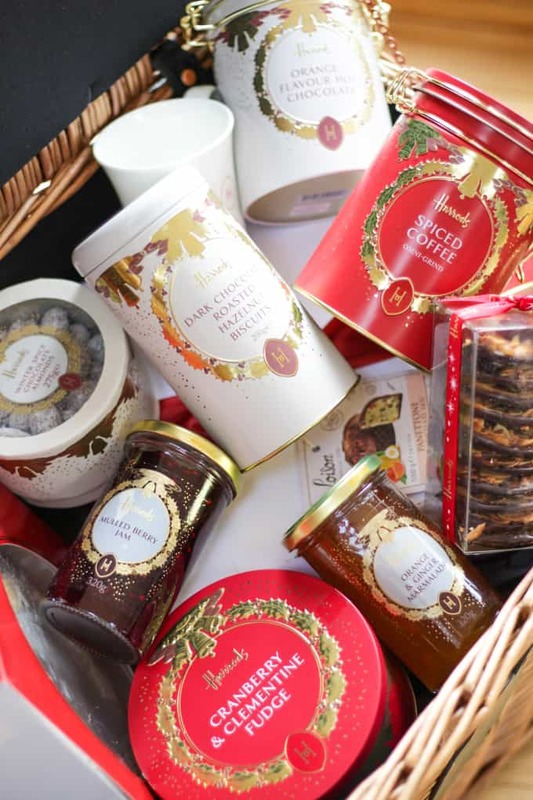 I’m normally busy thinking of what I can cook for everyone else at this time of year, so when Harrods got in touch and asked if I would like to test out one of their hampers, how could I possibly refuse? What a treat. They sent me their St James by Harrods hamper (pictured above) full to the brim with sweet and pantry treats. 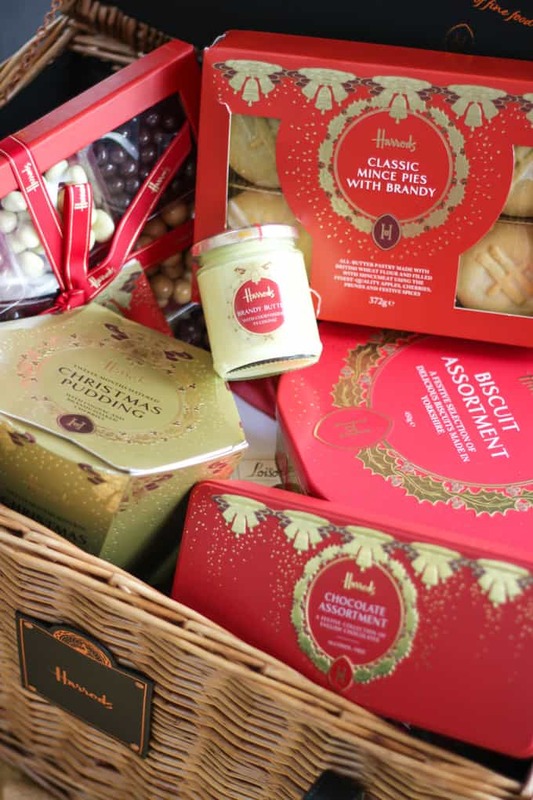 There is something so decadent about a hamper don’t you think? Indulging in hand picked goodies that you perhaps wouldn’t buy normally, and certainly not all in one batch. That moment of opening up a heaving basket to discover what is waiting in the straw is just so exciting for a food lover. Of course, as you would expect, this Harrods hamper did not disappoint. From the careful packaging, the beautiful basket creaking under the weight of treats and the shiny red packaging, everything was spot on. This isn’t a cheap option for a gift, but oh how it would impress a foodie at Christmas. The whole experience of delving in is quite something. 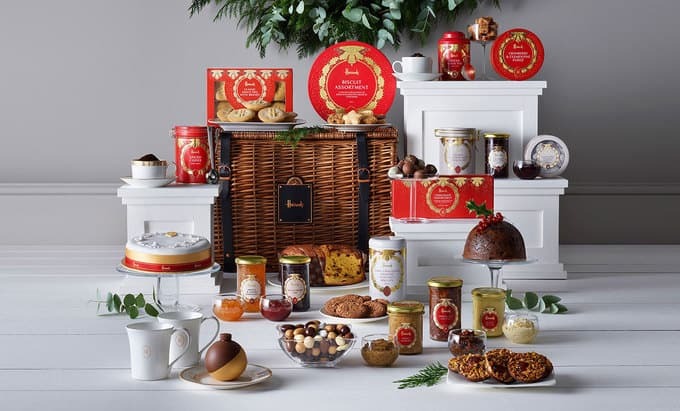 Harrods Christmas hampers range from £35 to a whopping £5,000, meaning that you’ll certainly find something for any food lover in your life. 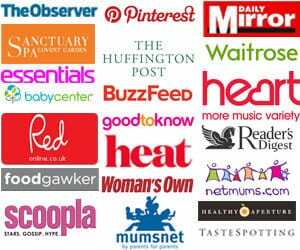 I know quite a list! The children and I haven’t quite worked our way through everything yet but our favourite so far have been the Orange Hot Chocolate (perfect on a cold afternoon by the fire) and the delicious Cherry & Pistachio Florentines. Thank you to Harrods for this fantastic gift. 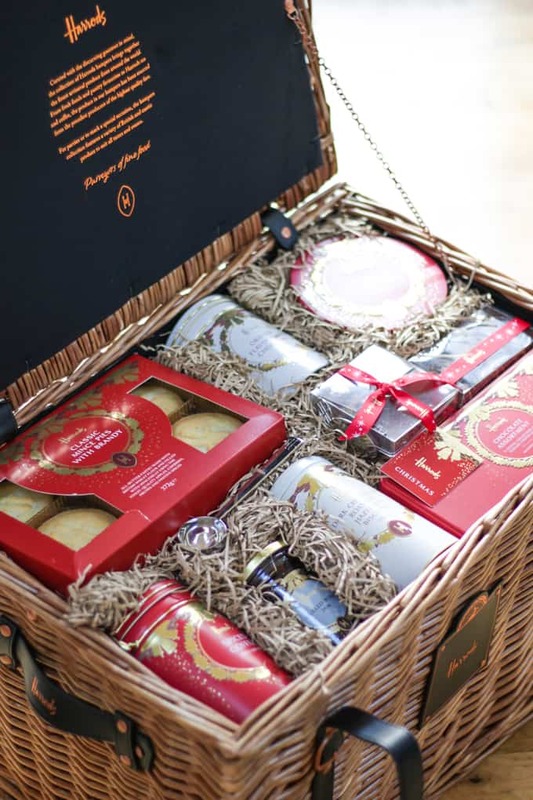 Do you have a Christmas hamper? What would be in your dream hamper?! Disclosure: The hamper was gifted by Harrods but as always all opinions are truthful.